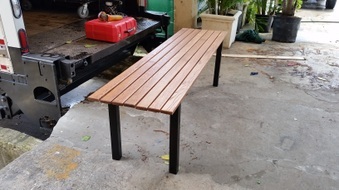 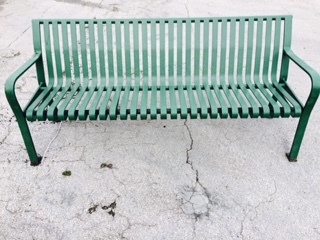 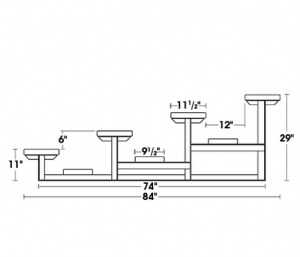 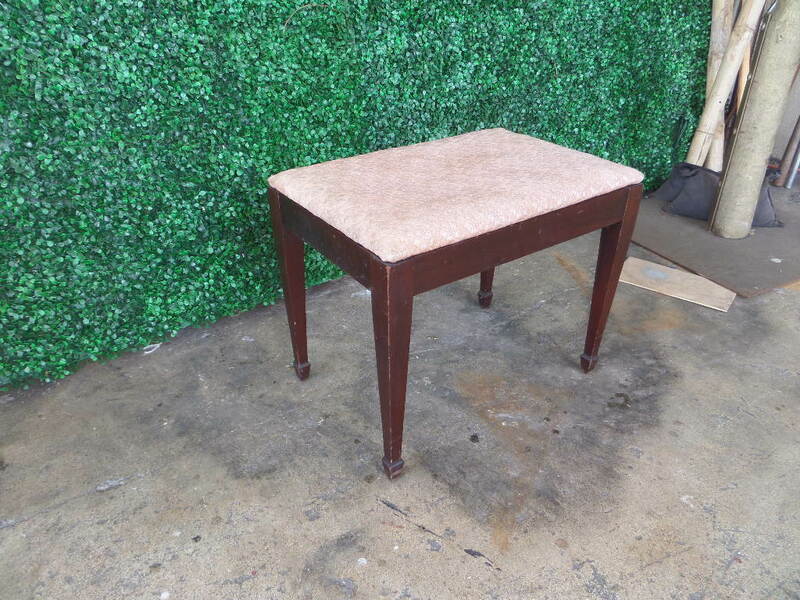 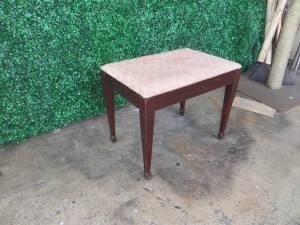 Description: We have 2 of these iron benches…they measure 8′ long. 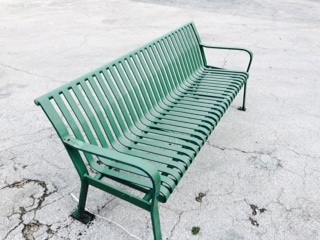 Description: Connected seats seen in airport or bus depots. 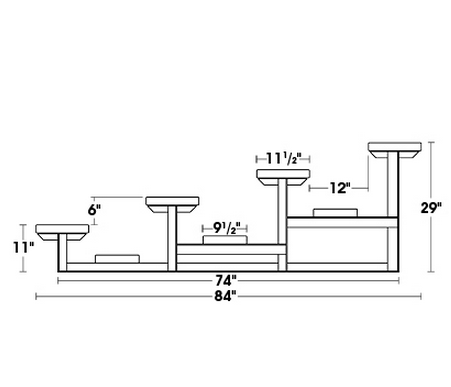 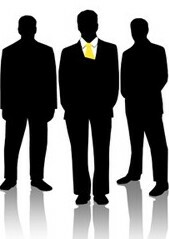 Four sets are shown here. Description:These wood benches were used for a baseball dugout and a play with several carpenters sitting on them. 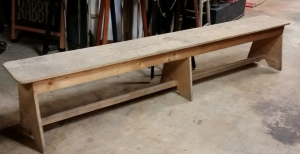 10′ long. 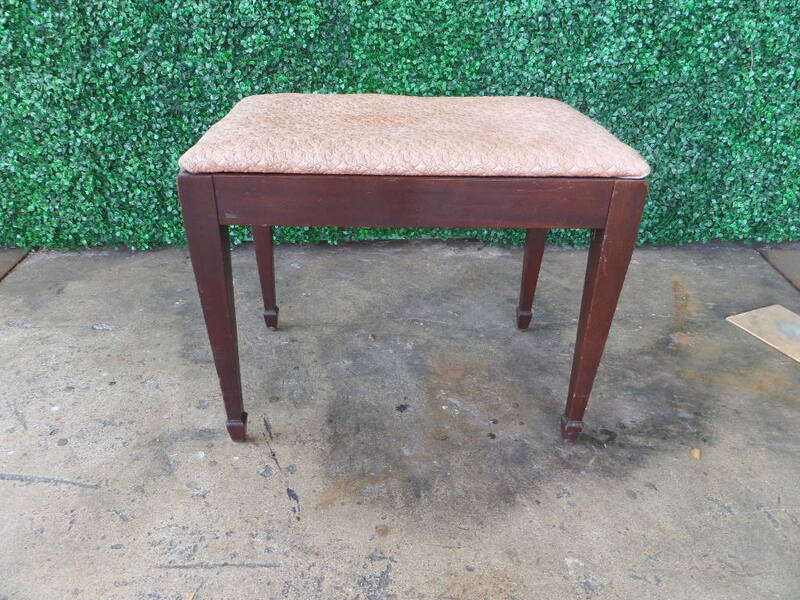 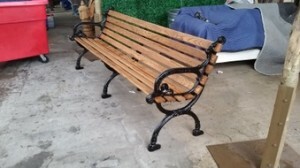 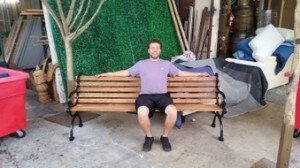 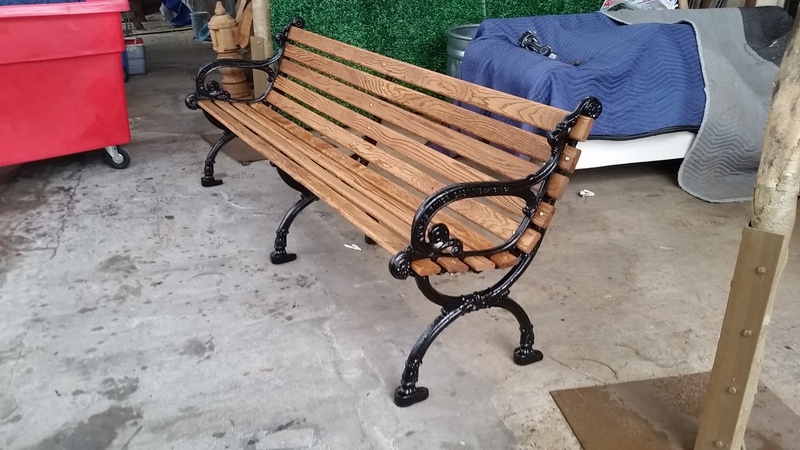 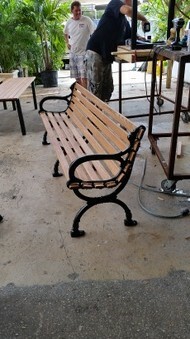 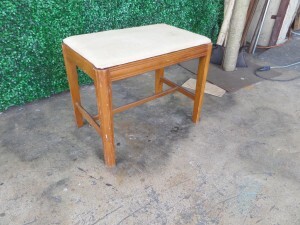 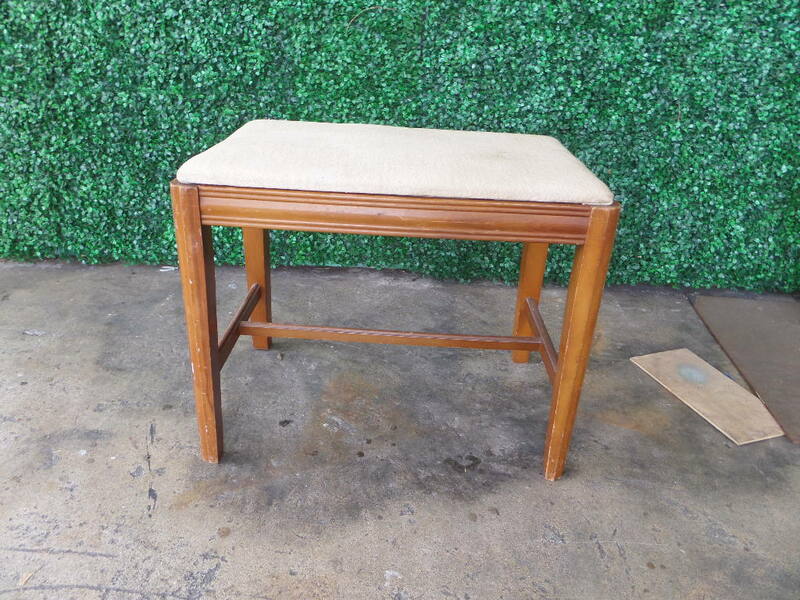 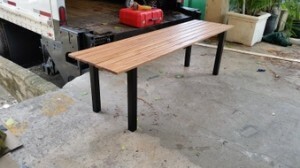 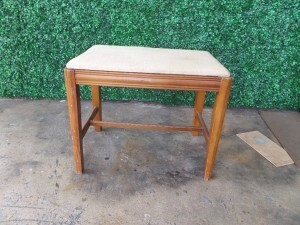 Description: We have 3 oak benches available. 20″ wide and 6′ long 20″ high. 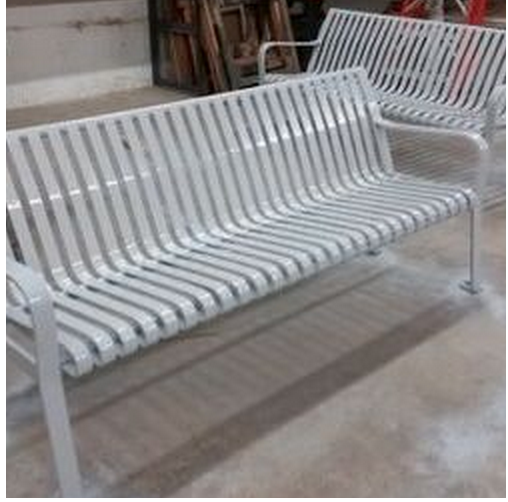 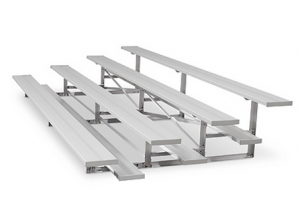 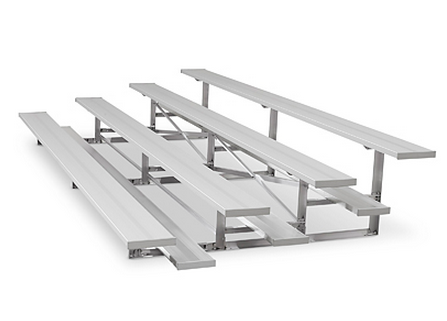 Description: We have several sets of 3 and 4 tier aluminum bleachers. 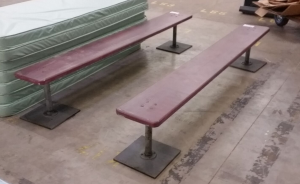 They have wheels on the back for easy load in and out. 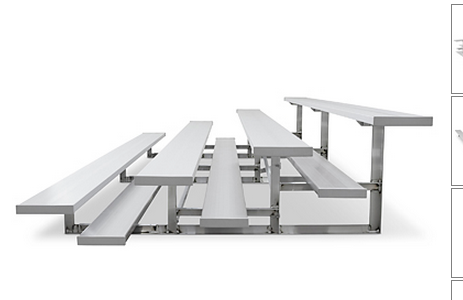 Most are 15′ wide.